Today I have a few cards to share with you. I don't know about you guys (card makers, papercrafters) but now I feel guilty when I don't have a hand made card to give away. Store bought just feels so wrong to me.... Ohhhh the papercrafter's guilt! Who knew?!? Maybe I'm just weird! I appoligize ahead for those of my friends that get store bought from now on... but be nice, I probably did not have time LOL! Anywho moving onto my fab cards! 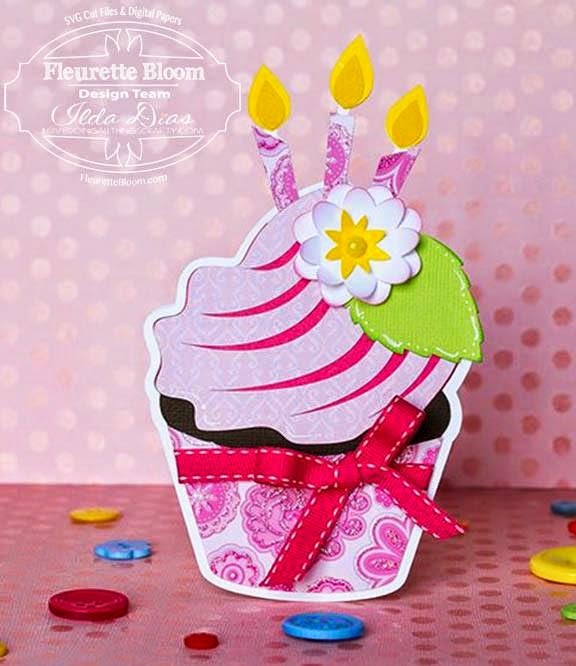 These cards are a combination of a few Fleurette Bloom files. Supper easy and quick to put together, I actually made two! You can never have enough it seems. Here is my little blue cupcake. 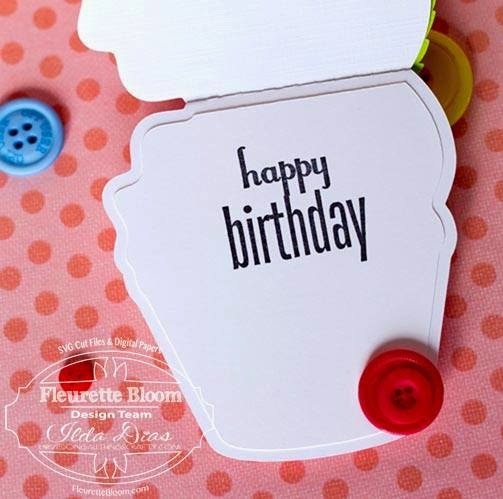 For how to make your own shaped cards click HERE for one of my previous posts on shaped cards. These cards were cut and using the Silhouette Cameo. Here is the pink cupcake, yummy! and the happy birthday stamp inside. Hope you've enjoyed my delicious cards today. Now go and "whip" up your own! I saw this on FB.....Super cute & Yum!! Awesome job!! Oh my! 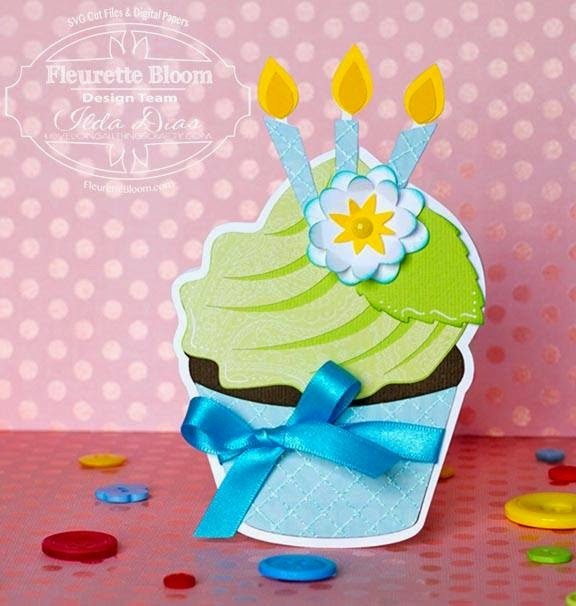 Absolutely adorable cupcake card!! !